Many men hear the word “bespoke” and instantly think of suits made for a specific person. 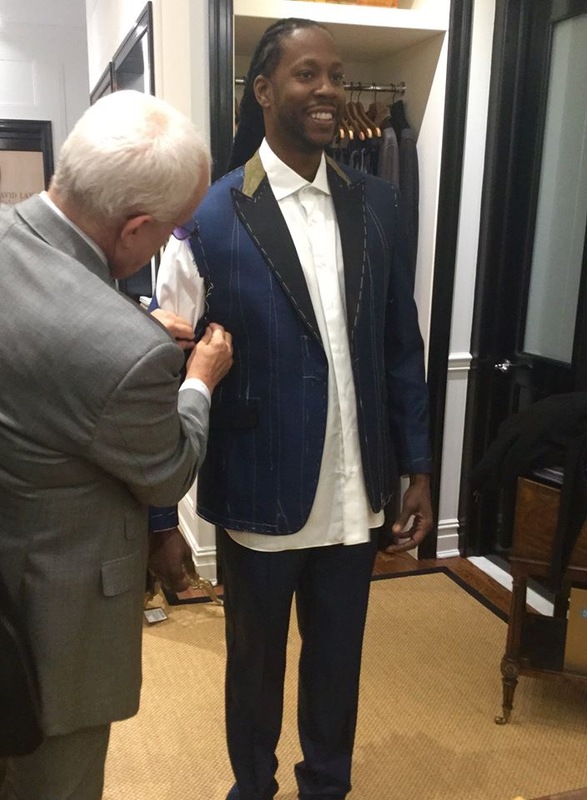 But bespoke is not about the clothing itself—it’s about the process. When you decide its time, and you opt for bespoke, you’re not just purchasing garments. You’re actually beginning a process where we can author the story of how you’re sartorially perceived. Bespoke is an ongoing, personalized experience that will wow you—but do it to you quietly—every time you step out the door. Upon entering our showroom, you are a blank canvas. The process begins with seemingly casual questions, but many of them are strategic to the building of your bespoke wardrobe. What do you do? Do you travel a lot? Do you have a summer home? Our questions are more focused on you and your lifestyle than they are on clothing. We don’t mean to pry, but we want to learn everything about you so we know how you’ll wear each piece of clothing we craft. For example, shirts… Some businessmen work 18-hour days and need shirts that are made to be worn for long periods of time—to be a hybrid of luxury and durability, guaranteed to look good into the evening. This is where the science comes into play. As we take your body measurements and posture angles, we essentially are starting to design and construct your clothing, so we can build it exactly the way you need it to be. By combining these technical aspects with our artistic approach, we can create suits and shirts that align with your body and your mindset. We’re in the business of shaping perception. We pay attention to every little detail—and, of course, every big one—to ensure a comprehensive experience for you. For most clients, we assemble a personalized book—a how-to manual for everything in your closet. 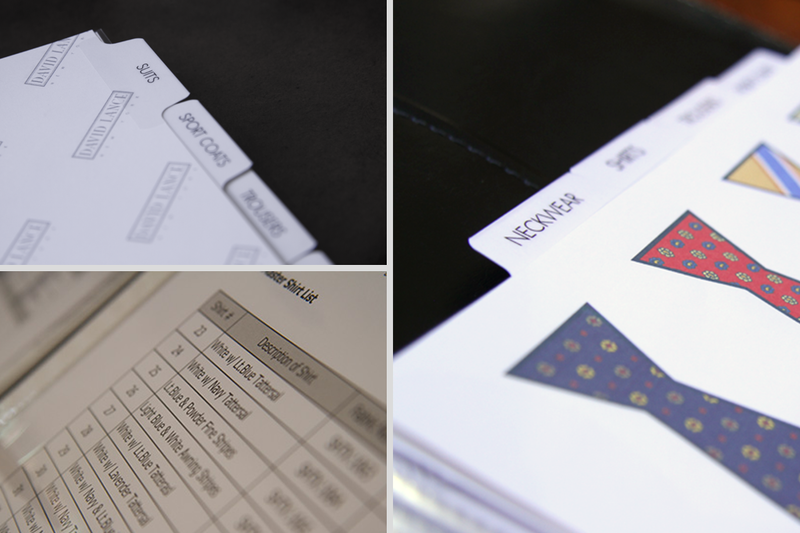 “The Book” features a complete itemized log of your wardrobe and recommended combinations for each piece. Our numbering system helps us keep track of your garments. As well, it makes it easy to replace anything that’s damaged or lost. If picking what to wear isn’t your strong suit (no pun intended), then leave it to us. When you open your book, you’ll see how your suits coordinate with your shirts, ties, and shoes. With a variety of brilliant combinations, you’ll never have to ask “Does this match?” again. The Book breeds confidence—you’ll know what you’re wearing is right, and you won’t have to think twice. The smartest men aren’t necessarily good at everything—they’re mindful enough to know their strengths and weaknesses. You’re not good at packing for business trips? 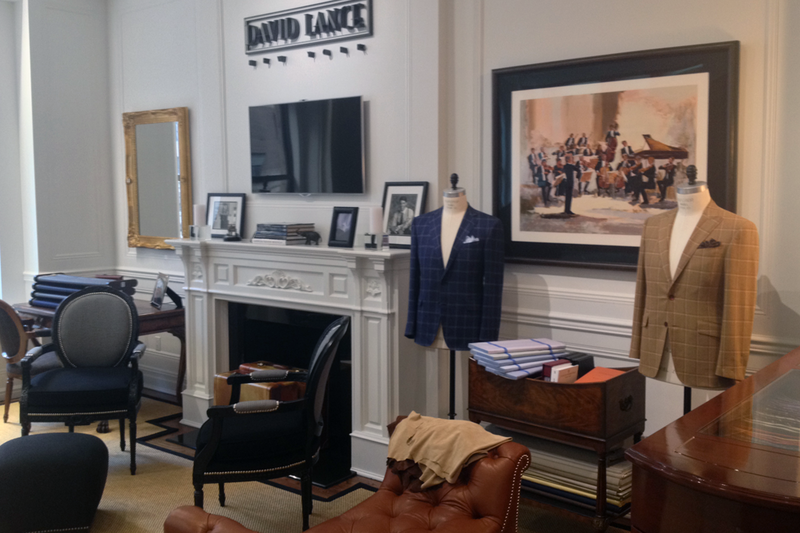 We can extend the bespoke experience to your home—outlining what suits to bring, and what shirts, belts, and shoes to wear with them. If your closet space is limited, we can also pick up and store your out-of-season wardrobe and replace with your more timely clothing. We can even deliver specific garments to your other homes if you’d like. So, if you keep your suits in your New York City apartment, we can move the ones you want up to your summer home in the Hamptons. It’s all part of the experience. Bespoke doesn’t involve a menu, and it doesn’t have any restrictions. It’s a process that is completely customized to each and every client, designed to give you confidence and peace of mind—and it doesn’t have to end in the showroom.